This summer the Abortion Rights Campaign will be fundraising at a number of outdoor concerts and needs your help! If you would like to see some bands for free, have fun and meet lovely like-minded people, whilst also raising much needed funds for an excellent cause, please get in touch! We’re looking for enthusiastic volunteers who are 18 years old or over to work at the bars at some of the biggest gigs and festivals this summer in Malahide Castle, Marlay Park, and Stradbally. When you’re finished your shift, you get to enjoy the music, have a free pint or two and pat yourself on the back for making a genuine contribution to continue the campaign for free, safe and legal abortion in Ireland. 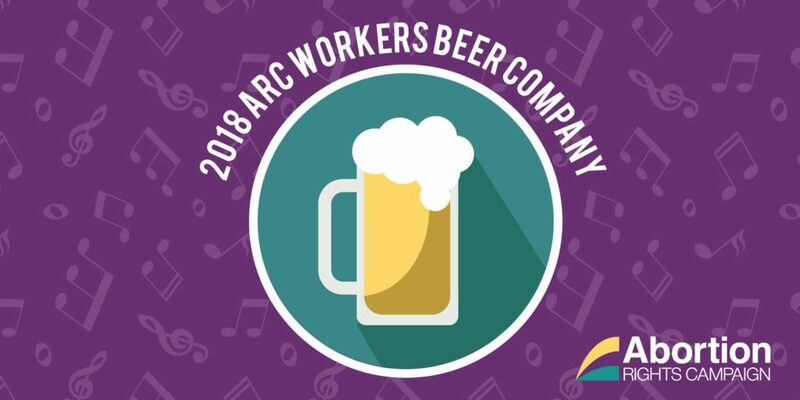 The Workers Beer Company (WBC) – a not-for-profit organisation that runs bars at festivals – is an integral source of fundraising for the Abortion Rights Campaign. The WBC bars are staffed by volunteers from a range of social justice movements. The money that the WBC would have paid in wages is then donated to the cause that the volunteer is supporting. What happens next? You sign up, and we’ll be in touch. We do our absolute best to support the ARC volunteers and provide you with everything you need. You don’t need any bartending experience – just enthusiasm, willingness to work, and a desire to jump in and help a really great, grassroots organisation that’s fighting for abortion rights in this country. Some of the events will have limited capacity, so we may not be able to secure space for all volunteers interested, but we will do our best! Please spread the word, and pass this link https://tinyurl.com/ARCWBC2018 on to your friends and family that may be interested in volunteering too! If you have any questions or suggestions, feel free to get in touch with us at [email protected]. – Electric Picnic, Friday – Sunday, 31st August – 2rd September 2018 (Stradbally, Co, Laois). I would absolutely love to sign up for such a worthy organization. Recently finished Pharmacology student waiting to graduate and spending the summer passing my time. Currently looking for something to be excited for and for something to do! Big supporter of REPEAL! Interested in working at the Marlay Park events as I am a local ! I’d be available to work the Sunday of Longitude!